Desktops section on Export Portal offers a wide range of desktops and all-in-one PCs. Sell desktops online, find customers all over the world. Buy desktops online, choose the best option for your home or office. Whether you’re looking for an everyday workstation for college work or a performance PC for gaming, you can explore our range to find the ideal combination of power and price to suit your needs and budget. Gaming desktops have the performance and graphics capabilities to run the latest and most-loved PC games at their best. Whether you’re upgrading or looking for your first gaming PC, shop for gaming desktop on our site, choose the right one. Apple Mac desktops run Apple’s own OS X operating system that gives an entirely unique look and feel. They are popular everywhere from professional studios to homes, and offer great performance and reliability. Barebones PCs come without an operating system, so won’t work straight from the box like other computers. They give you the opportunity to add the operating system you want, and are great for businesses or those that prefer to use Linux, Ubuntu or an older version of Windows. Mini desktop PCs are small enough to fit into any room. They feature the same components, storage and connections as a full-size desktop PC, so will work with normal keyboards, mice and monitors. Buy Windows Desktops, high performance towers, all-in-ones, Mac desktops online on Export Portal, select among the best brands and manufacturers. Find brand name manufacturers, like ASUS desktops, DELL desktops, Hewlett-Packard desktops, Compaq desktops, Acer desktops, Lenovo desktops, Gateway desktops and Sony VAIO desktops or SIs desktops(Systems Integrators) and get the best deals on desktops online. 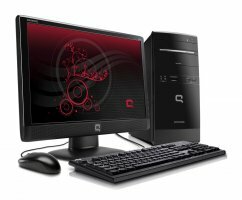 Increase your sales on Export Portal and sell Windows desktops, custom built desktop computers for gaming and business and all kinds of desktops on our site. Trade on Export Portal, get the best for your business!